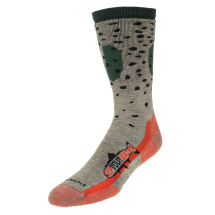 The Trout Socks have gone through a major transformation. 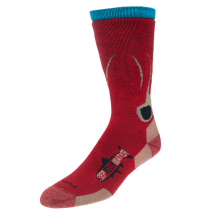 We worked with Point 6 out of Steamboat Springs, CO to give the already great designs the sock they deserve. 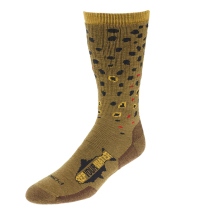 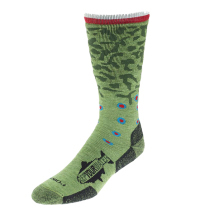 This medium-weight crew sock is great for wading, hiking, biking, the office or really anything in between. 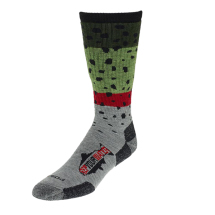 75% Merino Wool, 20% Nylon, 5% Spandex, medium cushioning with great support, machine washable. 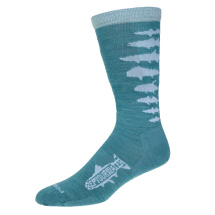 10% of proceeds supports our conservation partners.